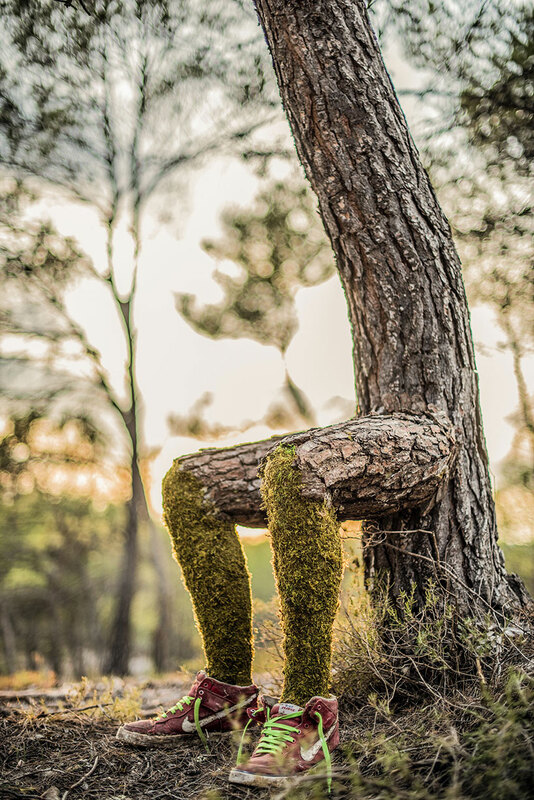 christophe guinet, aka mr.plant, is a parisian artist who uses botanical life throughout his work. 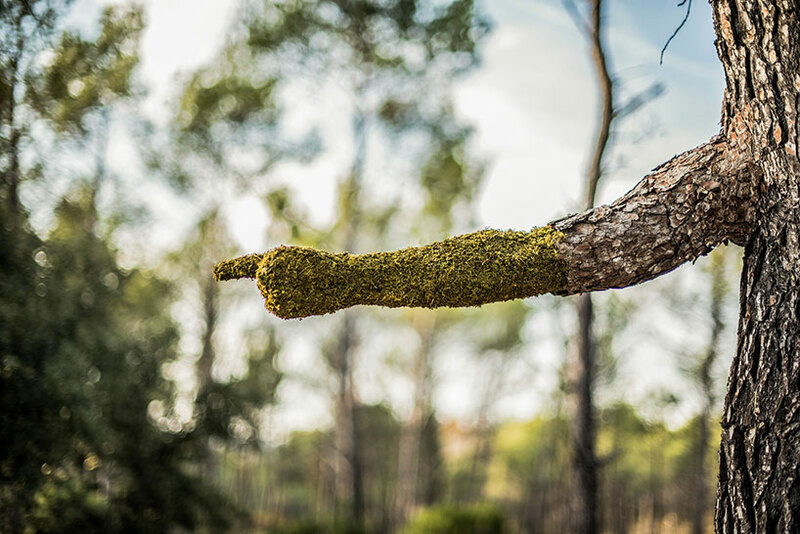 christophe’s compositions show us the beauty of nature through everyday and pop-culture objects. 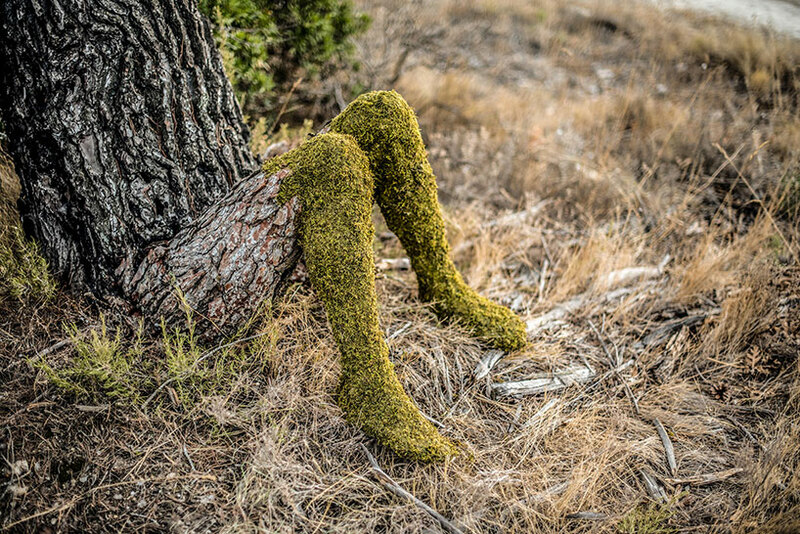 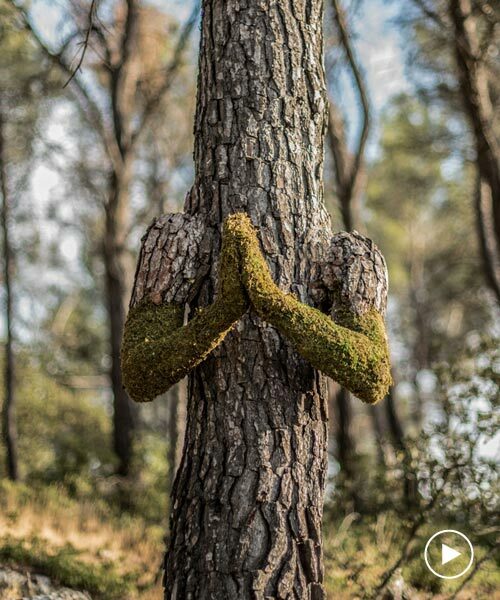 nature and man merge to become one in ‘human nature’, an installation representing land artist, christophe guinet (AKA monsieur plant’s) surrealist concept of human evolution. 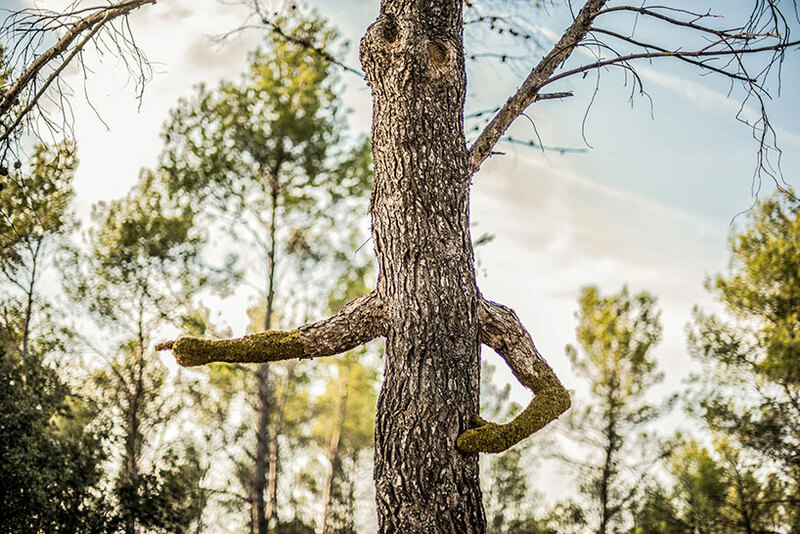 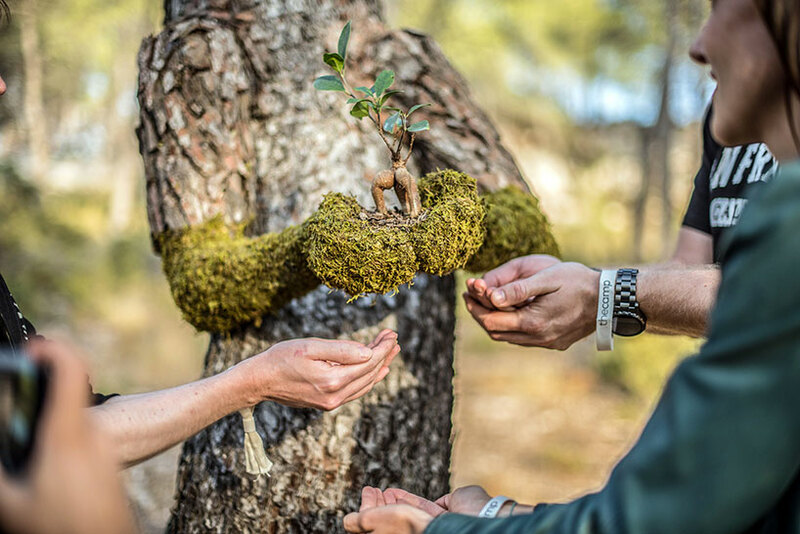 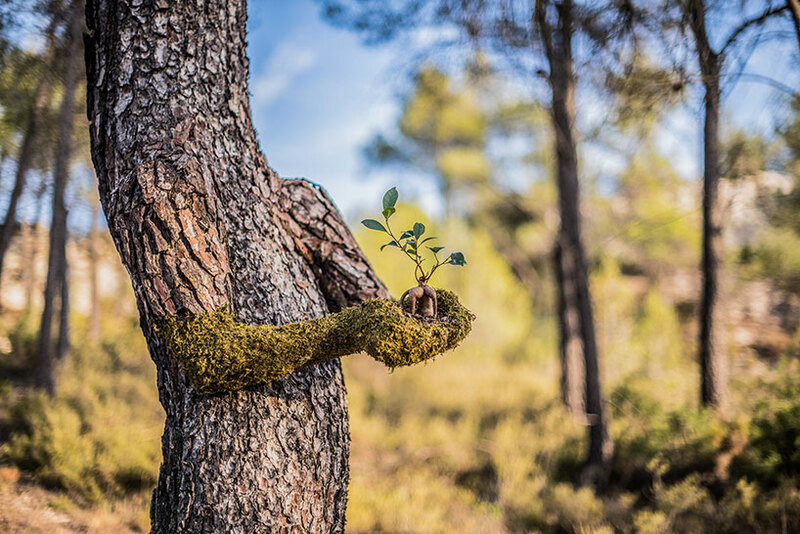 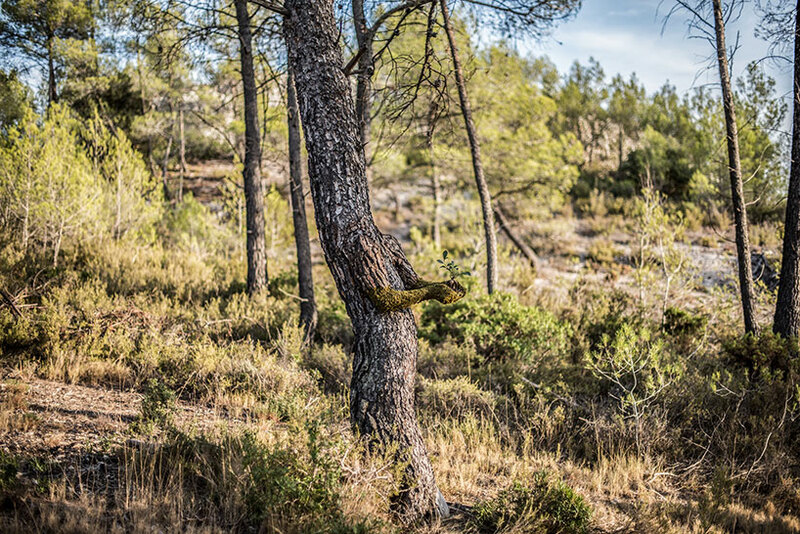 the works, which see an uncanny depiction of a tree-man-like hybrid mark the opening of ‘the camp’, a futuristic open-air showroom and experimental garden where innovation and emerging technologies of the future are developed by its’ inhabitants in the heart of provence. 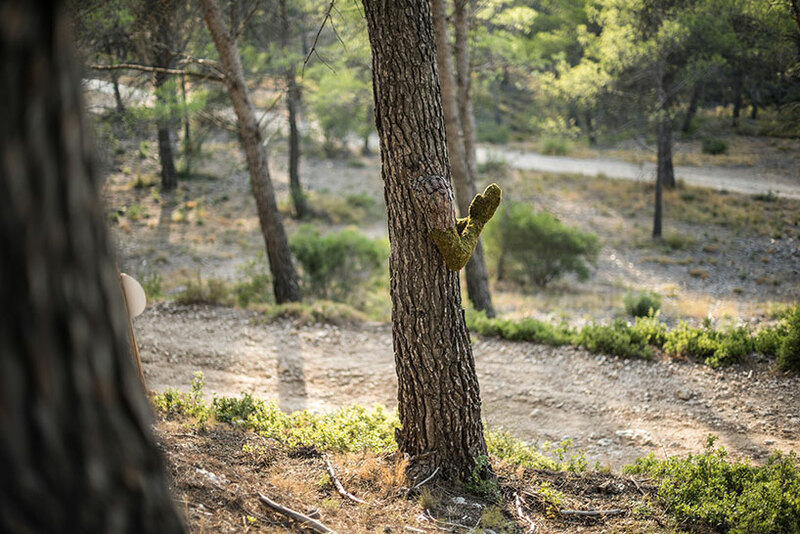 mapping an imaginative trail in the wooded area of the camp, guinet narrates the absorption of human rights by nature. 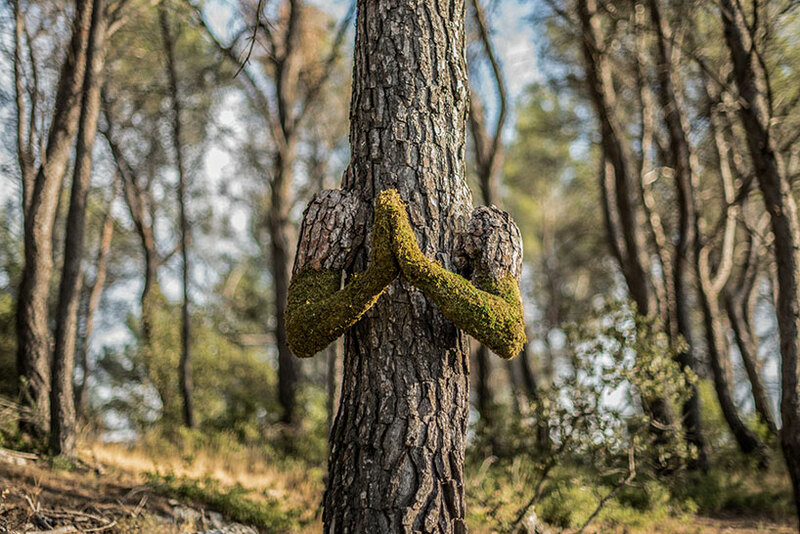 under the playful epithet of monsieur plant, he presents 5 productions, inspired by what ‘nature’ offers us; the serenity, by its calm and quiet; the way, that leads us on the right path; the patience, it teaches us to wait calmly such a cycle; the creation, with its power of regeneration and the contemplation and its meditative state of rest. 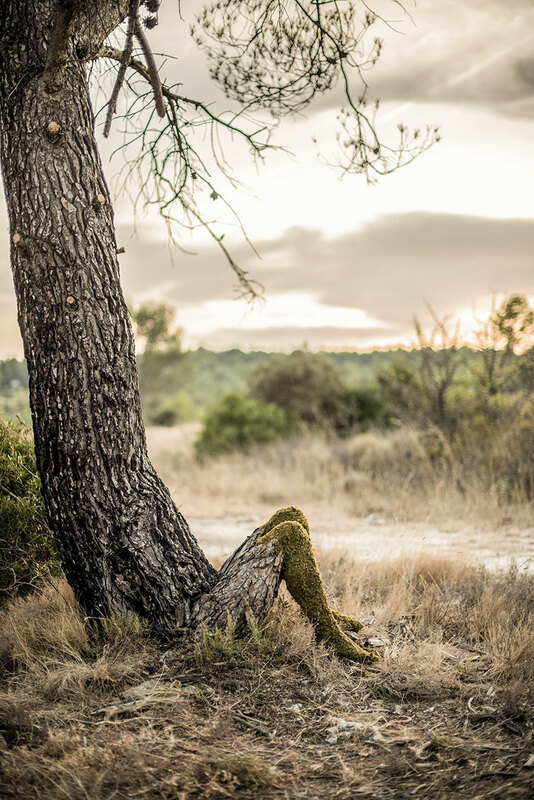 the artist’s affliction with nature developed as a teenager, where a passion for plants, especially the cultivation of orchids: attracted by their exacting needs and rewarded by the beauty and delicacy of their flowers, captured his attention. 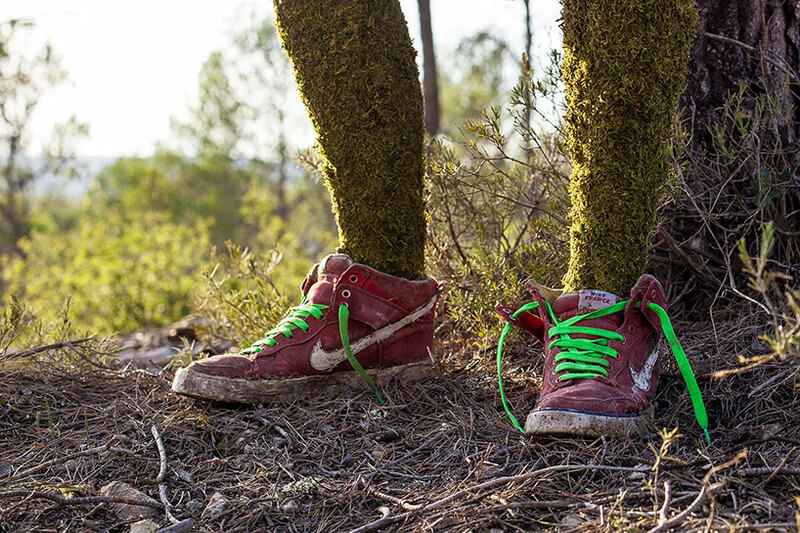 later on, his tastes evolved to urban cultures including skate, street art, fashion, demonstrated in the inclusion of nike trainers within the installation, offering the viewer accents of the artist’s personality. 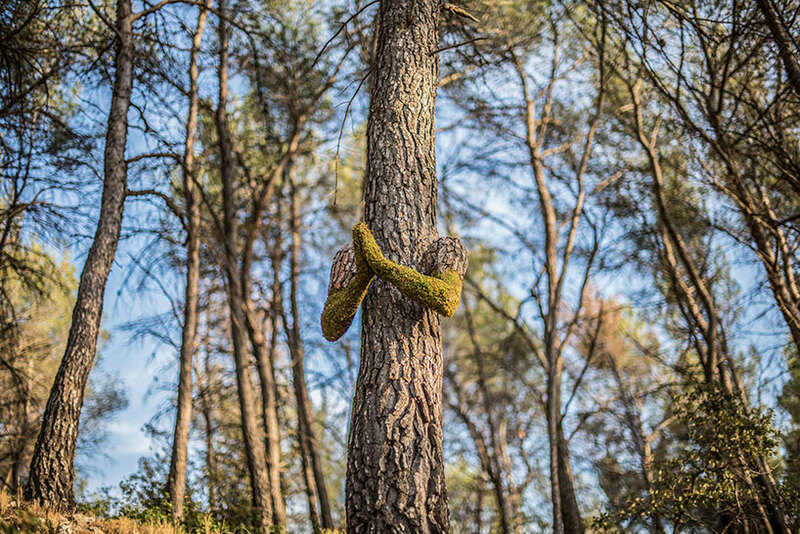 guinet acknowledges his craft as allowing him to realise what kind of world we live in, confronting worries of industrialisation, manipulation and how human thought has changed over time.